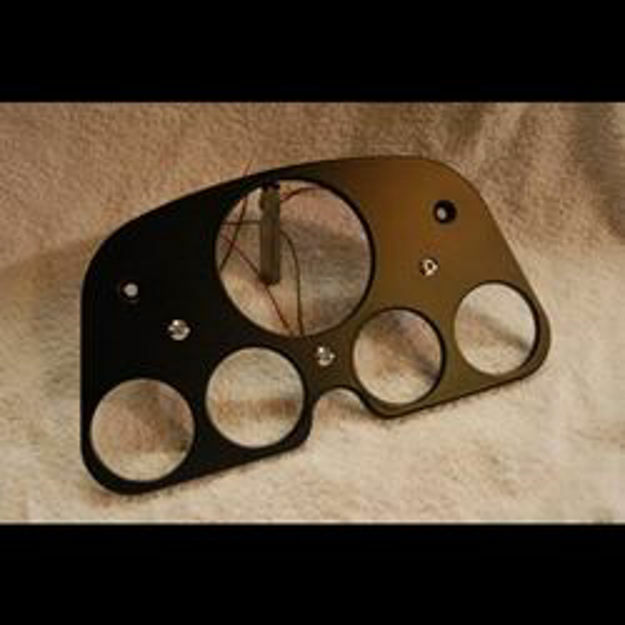 Metal Tech 4x4 FJ40 Cluster Gauge, this instrument panel has cut outs for 1 - 3 3/8" gauges (speedometer or tachometer) and 4 - 2 1/16" (fuel, oil pressure, water temp, voltage, etc). The cluster gauge also includes two stainless steel screws with the correct shape and size for a factory fit. We offer these FJ40 cluster gauges powder coated black. As an option we have a LED light kit that comes with 1 blue LED light (high beam) and 2 green LED lights (turn signals) that can be purchased separately. Minor trimming may be required to fit aftermarket gauges behind the instrument panel!